I remember a little bit about zinnias from when I was a child. My mother, who was not an enthusiastic or particularly competent gardener, planted some in our back yard. I don’t recall any more than that. A couple of years ago, I needed some color and had a few bare spots to fill in my border, so I bought some of the old “State Fair” strain. 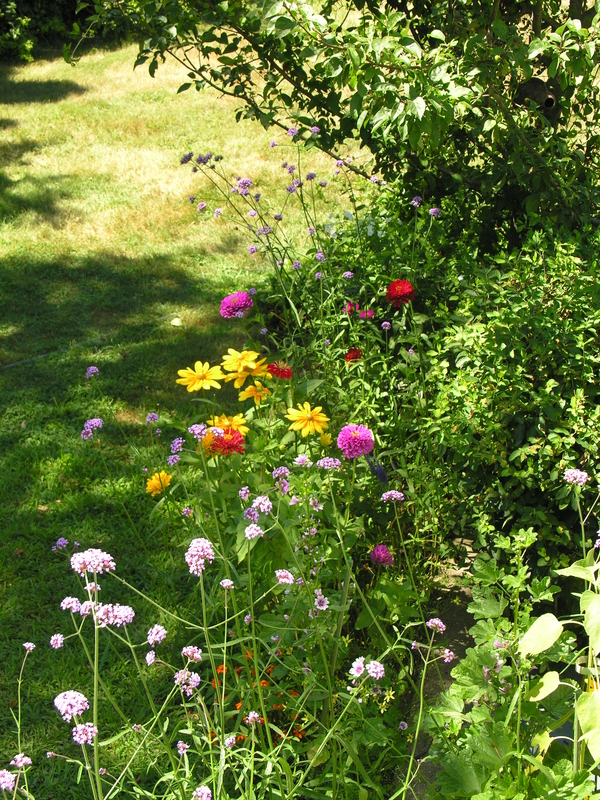 Weeks later, I was rewarded with sturdy, hassle- free annuals in wonderfully bright, jewel-like shades. They made terrific cut flowers, and the hummingbirds and butterflies loved them, too. I was hooked. Of course, as is so often the case when I like something, once I had fallen in love with “State Fair,” it was almost impossible to find in subsequent years. I had to settle for “Cut and Come Again” and others. 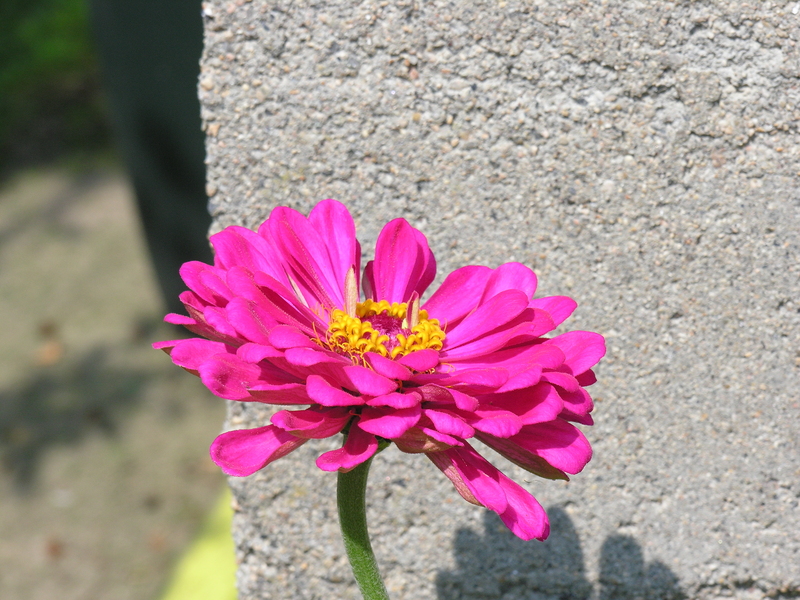 This year, I ordered zinnia seeds. While I actually found a source for “State Fair,” I ended up being swayed by the accolades being heaped upon the “Benary’s Giant” strain. To me, they look very much like good old “State Fair,” but the catalogs and reviews assure me that the Benary (developed in Germany) is by far the biggest, best, most colorful zinnia EVER. So I bought a packet of “Benary’s Giant,” and they have already impressed me by germinating in about 48 hours. So far, so good. I’ll let you know how I like them in my garden. They’ve been around for a very long time, and were named after Johann Gottfried Zinn, who died in 1759! Writer for a daily newspaper, gardener, tree hugger, orchid-grower, photographer, animal lover, hiker, wilderness seeker. Proponent of clover in the lawn and a dog on the bed. You reminded me that I have not grown Zinnias for years. I am going to buy a packet of seed today, and get started growing them in my garden again. Let me know how it goes, and enjoy them! I’ve been growing Envy and Purple Prince for the past few years… probably because they are regularly available through the MG seed sort. Envy is a really nifty green flower, and they are both butterfly magnets. I have some “Green Envy” too. And I know what you mean about the butterflies. They love zinnias almost as much as I do. I know there are garden snobs out there who consider zinnias to be too “Common,” but my garden is never complete without them. All text and photos, unless otherwise attributed, are the property of dirtynailz. Please do not copy without express permission! Thank you. Copyright © 2014. All written content and photographs on this blog are the property of the authors. Links to this site are allowed, but written content and photographs may not be used without written permission from Dirtynailz. Thank you.